OYSTER-rific Sunday! ~ Live. Share. Inspire. It's a Sunday! Part of the routine, Bryan and I would enjoy strolling around- eating siomai, grabbing icecream, lunch in Mang Inasal and drinking buko juice in Kabankalan Plaza. 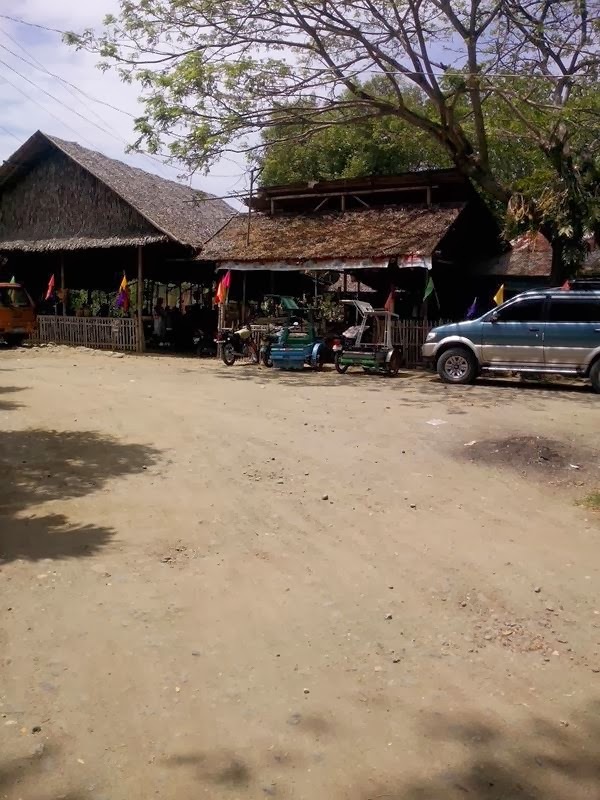 Today, we've headed to Bocana- town known for its mouth-watering Talaba (Oysters) and meaty Alimango. 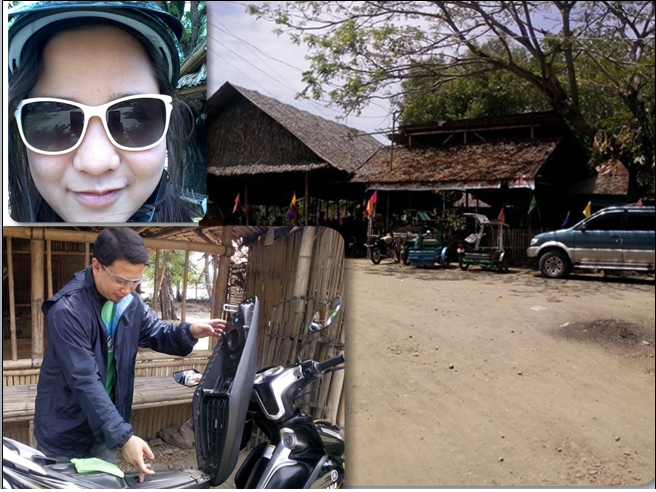 In motorcycle, we've traveled 7 Kilometers away from Kabankalan City under the friendly sun. We arrived at around 12noon with tummies ready to take our heavy lunch. 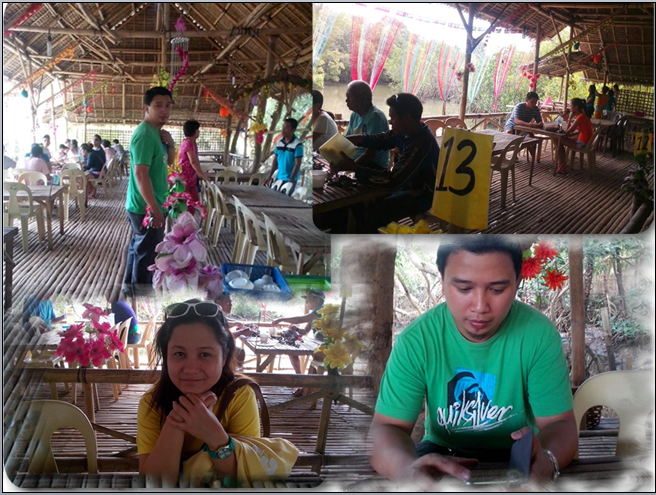 The place is already occupied with guests from various places-- barkadas, lovers, families..
Take a peek inside the Talabahan resto. They serve very fast and you'll be taken cared of with friendly smiles. It's cool here. Looking at the waters underneath the mangroves, you can see white birds (not sure of the name) hunting for fish. And for less than 5 minutes, your Oyster's ready! We ordered two of this basket (isn't it surprsing?). 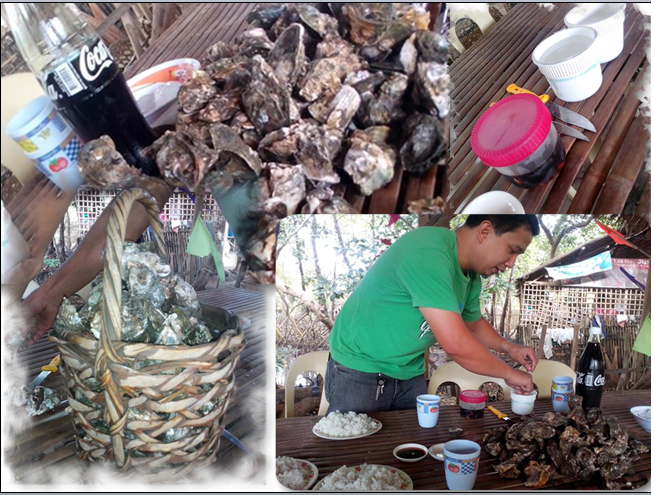 You will be provided with knives for opening the oysters, an improvised water container for washing your hands and a prepared sawsawan (mixture of vinegar, soysauce, etc). What's exciting here is that you'll be the one to open the shells with the knife provided. With care and effort, you'll finally taste the sweet-cannot-be-explained savor of oyster. How to cook it? They just soak the raw oysters (of course, with shells) in a boiling water for a specific period of time. The boiling water will slightly open the shells; all you have to do is insert the knife in the little opening. Do it yourself, it's fun! Oysters bring with them more zinc compared to other food. Yes, an aphrodisiac mineral. They are healthy food for your health because they are high in Omega-3 fatty acids, magnesium and potassium which can help reduce heart attack and low blood pressure. If you want to lose weight, eating oysters can help. They are low in calories, low in fat and can make you feel fuller after you eat. 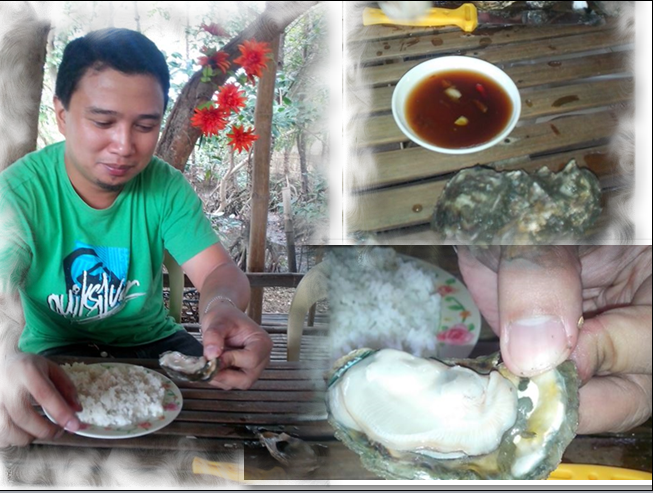 Eating oyster can give you other essential nutrients like Vitamin A, E and C, Iron, Selenium, Calcium and Vitamin B12. Oysters can raise levels of good cholesterol and lower levels of bad cholesterol in your system, according to the studies done by the University of Washington. So, what are you waiting for? Grab your buddies and visit Talabahan in Bocana, Ilog, Negros Occidental. 'Til next time. Happy eating!